I’m changing my credit card method one more time. This time should hopefully be the last…unless I get a better card in the future. I’ve written about the way I use my credit cards in the past and I have mostly stuck to that. I do tend to change up the use but now I think I have a way that will make the most sense. This card gives 1% on every purchase every time. This means I no longer have to worry about whether a purchase qualifies under the rotating category or not. Then I also get 1% when I pay the card. 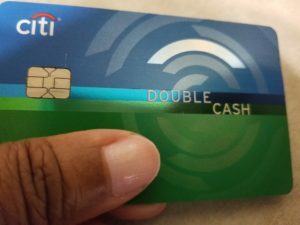 Since I treat my credit card like a debit card this means it gets paid in full every month. This translates into a full 2% cash back every month on all purchases. Some of my other cards have a problem syncing with Mint. In fact one of my cards does not even report to Mint at all. This meant I had to manually split purchases on a spreadsheet to see which categories I was spending in. Then when the payment posted I had to classify it in Mint from the checking account side. So for now I will just stick to that one card for all purchases. I tried it in the past and failed but I am determined to make it work now. I believe this will be the best way for me to actually make the most of my card. Figuring out the best credit card method is a process of trial and error. Of course I’ve made mistakes like when I robbed myself by using my points. Moving forward I will have all the bills paid only on that one card AND use it for shopping so that everything goes on it.